spreads from person to person. 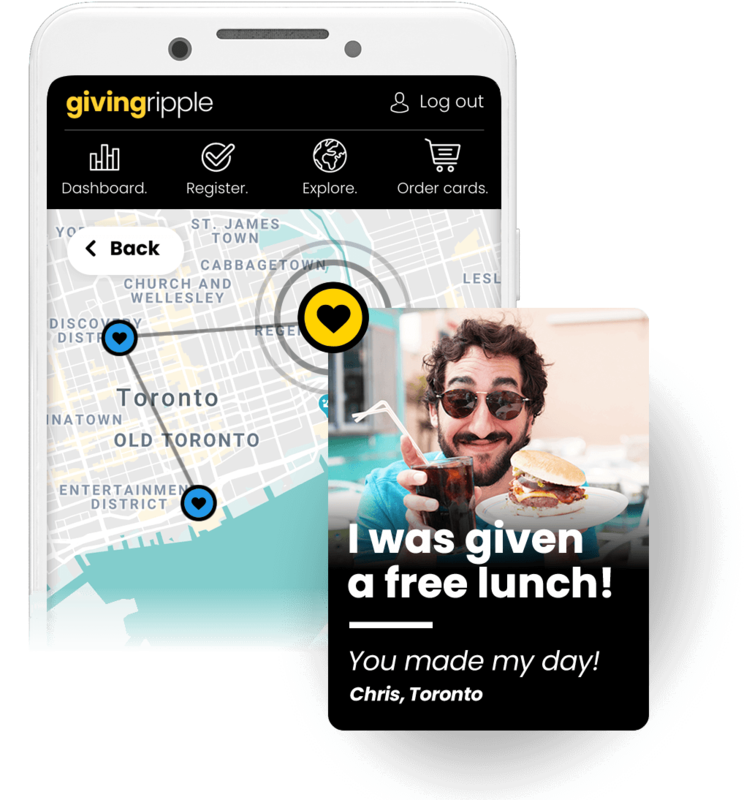 are given along with a random act of giving to a friend or stranger. 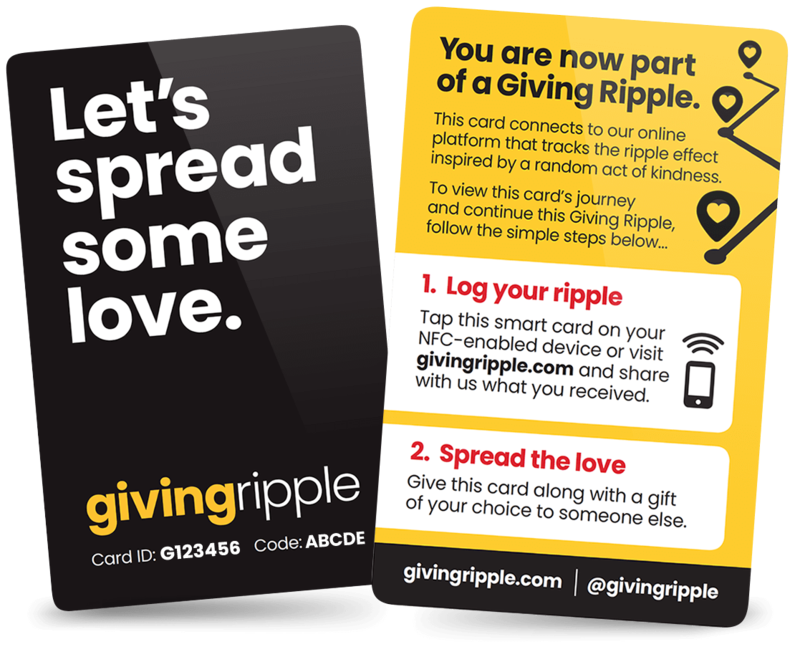 The receiver uses the cards smart chip or tracking code to log their ripple (gift) here at givingripple.com. 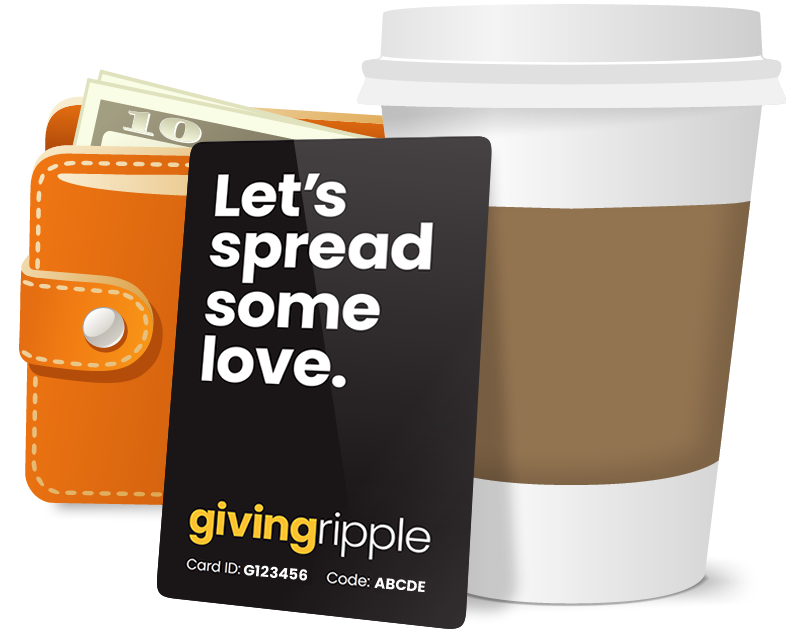 The receiver then continues the Giving Ripple by passing the card along with a gift of their choice to someone else. 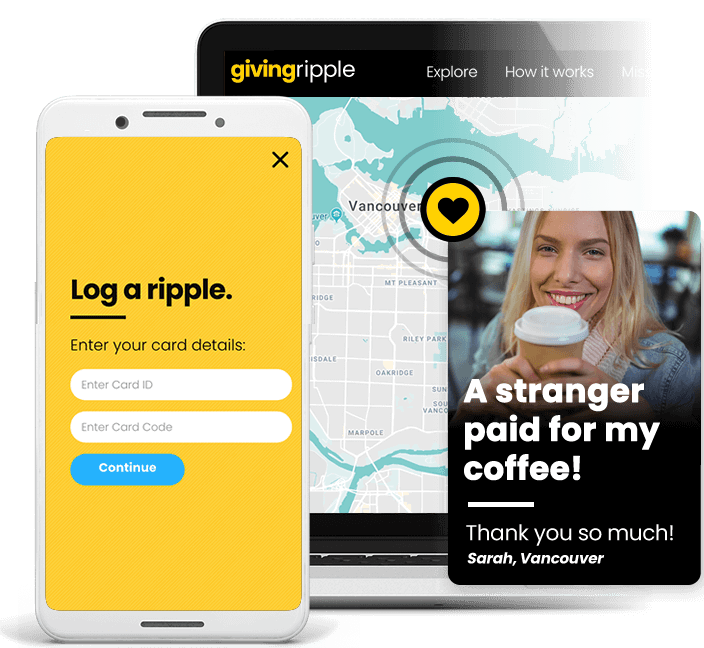 As the card gets passed from person to person our web-app follows it’s journey and the ripple effect of kindness inspired in your community.